Transformation and Empowerment through Education challenges the normalisation of Western discourses as the optimal choice for empowering education. 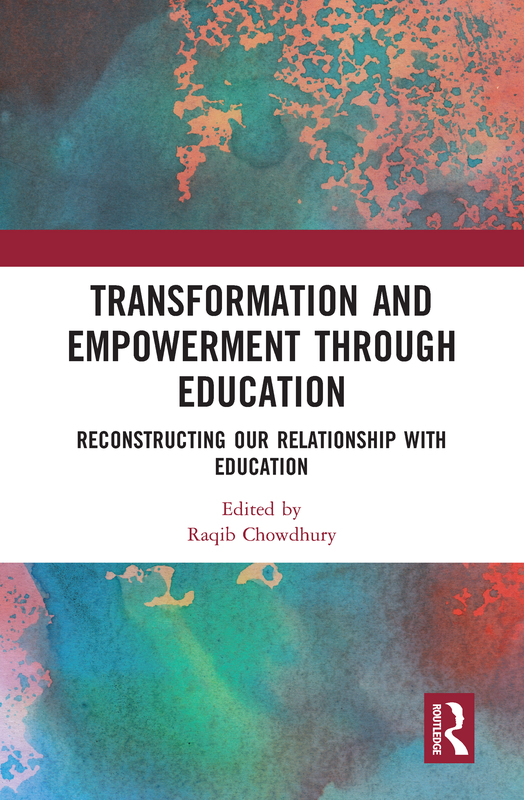 The book aims to reconstruct our relationship with education and employs contemporary theories in order to understand some of the most persistent phenomena in contemporary education and its role in our lives. Written by professionals with experience of a wide range of academic and institutional conventions and traditions, and from diverse ethnocultural backgrounds, this book effectively presents a global perspective on educational practices, both inside and outside the classroom. The range of topics covered includes equity, access, inclusivity, social justice, leadership and the internationalisation of teaching. This book, based on empirical studies using key methodologies, is ideal for academics and postgraduate researchers interested in critical pedagogy, educational studies and educational linguistics, as well as educators and policymakers around the world.